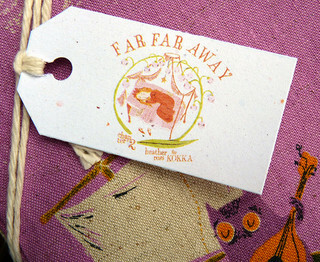 The second installment of Far Far Away by Heather Ross features more princesses in a fairly tale setting. Far Far Away 2 by Heather Ross is printed on a cotton/linen blend (80% cotton and 20% linen), and is therefore a heavier weight fabric. It does feel quilt friendly and is probably less intimidating than the double gauze fabric of the first Far Far Away prints. Dreamy colors and detailed prints, I already have a few favorites! I am really looking forward to cutting into these. I LOVE these...I just purchased a fat quarter set of these myself this last week. Cannot wait to make something yummy with it! I also got mine from mountain of the dragon. isn't her paper tag the cutest? darlin...i'm loving that sweet rose! I've just received my first bundle of this, and I can't wait to get the other colourway! 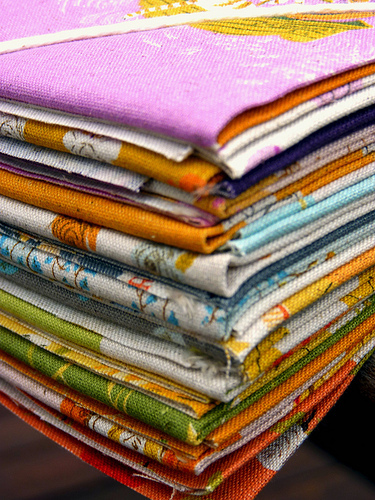 They do feel lovely, can't wait to get quilting with them. Looking forward to seeing what you will make from these pretty fabrics. I haven't still succumbed, mostly because I haven't used the original Far Far Away yet, but I'm sure anxious to see what you do with this line! 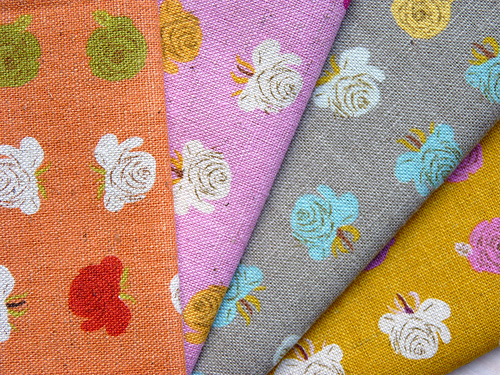 Beautiful fabrics. My grand-daughter would love these. 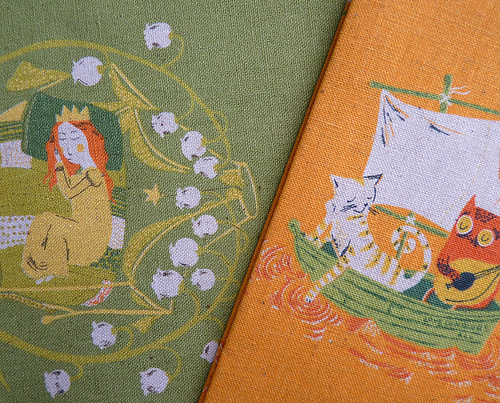 Have fun with your lovely new fabrics! I picked mine up at Quilt Market as a half yard bundle and absolutely adore all of the prints. I'm thinking I'll try a quilt with it, and if there are any leftovers I'll use them for tote bags.